Welcome to our 2nd Q&A. 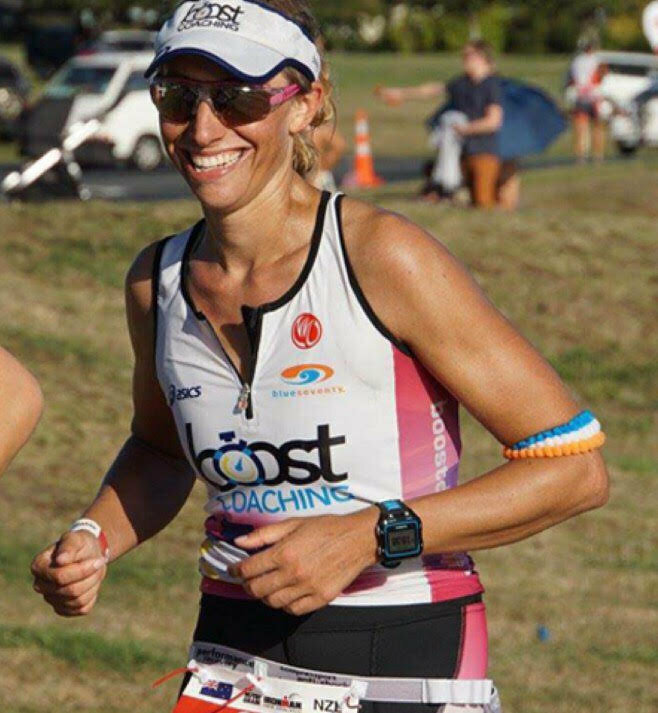 This week we have the pleasure chatting with DIME Performance Academy Athlete and Ironman 70.3 World Championship Qualifier Lana Grew. Do you train in a group or by yourself? A bit of both. Generally I swim in a group and then ride or do a group session with a group at the weekend. The rest of my training is alone. I like the mix of the two . What does your average week of training look like? Swim 3 – 4 mornings a week, Bike 3-4 times a week (shorter during the week and then a longer rides at the weekends), Run 3-4 times a week (mixing the sessions with intervals, speed and endurance) and then gym 2 x a week with DIME Performance and my own stretching as often as I remember. I try to have 1 x rest/easy day a week. That is a tough question! Often the harder the session the greater the reward, so I love the feeling after those big brick sessions at the weekends. Why do you think strength training is important for endurance athletes? Is there a particular athlete you look up to? If so, who? I have always looked up to Chrissie Wellington, for her ability to do so well in such a short amount of time and be so dominant. However, I also look up to my close friend Pogo Paterson who is an amazing triathlete, but also motivates and encourages me. What’s your least favourite thing about training? All the SUPER early mornings. Otherwise I LOVE training! I wish I could do it full-time! Do you get nervous before races? How do you calm your nerves? I don’t get as nervous as I used too, this might be because of my age, but I also think it is related to the length of the races. There is a lot of time for things to adjust throughout a ironman. But, of course i am nervous at the start of a race, I try to remember that everyone around me feels the same and then I focus on the first 10mins and not think about the rest of the race until the gun goes off. What’s your advice for newcomers into triathlon and strength training? I believe in finding a coach, mentor or a program to follow to ensure that you do things correctly (technique, quantity and structure), but also to have someone or a group of people to talk with, train with, learn from and enjoy the sport with. Also, to be patient. Consistency and commitment will pay its dues and suddenly improvements will come. And most importantly, enjoy your sessions…triathlon is fun!!! Favourite song to run or sweat to? Gosh…tough one. I don’t generally listen to music, but if I had to pick something it would be ‘Eye of a Tiger’, by survivor – who can’t be picked up by that? !